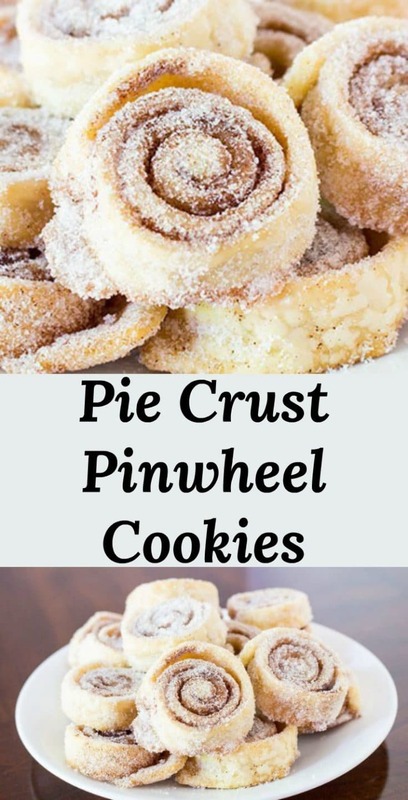 Sugar Cinnamon Pie Crust Pinwheel Cookies are super simple cookies made with just 4 ingredients. 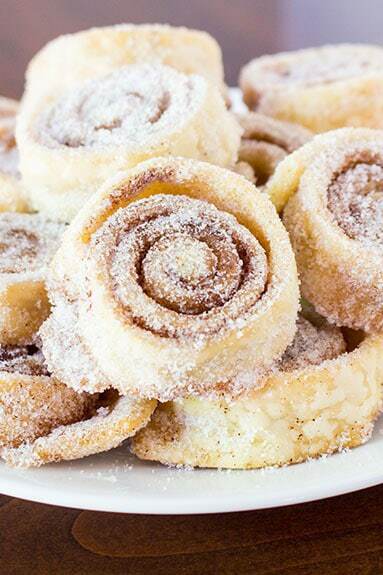 Butter, sugar, and cinnamon rolled in pie crusts are baked into a delicious cookie. Beginner friendly recipe! I heard it again today. Actually, I didn’t hear anything, it was a text. DD: How long do I bake these things. DD: The roly things with pie crust. Inner voice: Haven’t we talked about this at least a dozen times? Me: “Until they look done.” I was driving and that was the best response I could give based on stoplight time – driving and texting is bad, bad, bad! I am posting this simple, but delicious recipe, so that my daughter (bless her little cooking heart) can easily find the directions whenever I am working and can’t answer her cooking questions. Honestly, I think she has made these more times than I have. She seems to have a kitchen mental block. She can make a pie crust, I have never been able to make a pie crust, and it is my kitchen nemesis. We have similar conversations about her pulled pork too. I think I have made pulled pork once in my life. DH doesn’t like it. The last time she made pulled pork she did it her way, not my way, but I guess there is some comfort in asking mom. Total kitchen mental blocks seem to be a common theme in younger folks and that was part of my inspiration for starting a blog. I have met many young people in my journeys that have no idea how to do much in a kitchen. I often found myself giving them advice that usually ended with “it really isn’t that hard and usually tastes better anyway”. 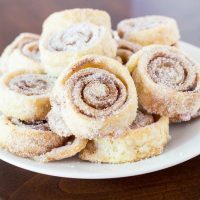 There are a ton of recipes out there for this type of sweet treat and everyone’s family seems to have some version of this a grandmother or favorite aunt made. Love it or hate it, this recipe is just the way I make them. 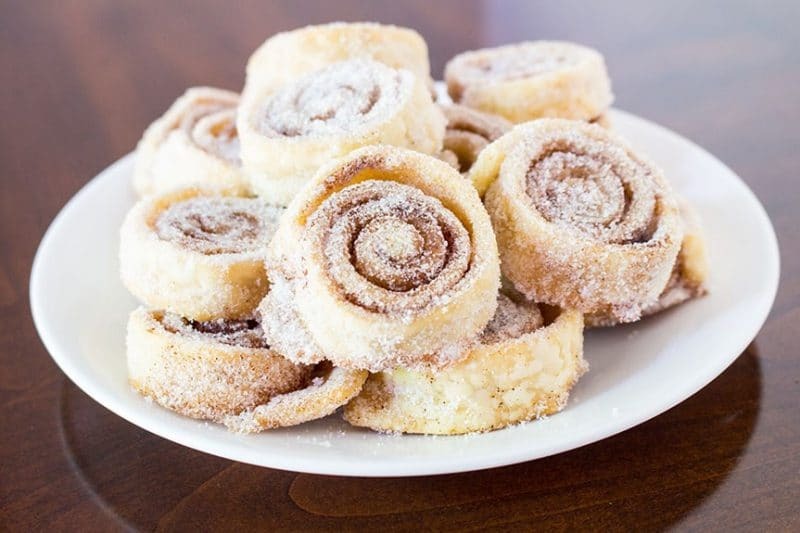 Sugar Cinnamon Pie Crust Pinwheel Cookies are also known as Rollie Pollies in our family. I have seen them called sugar cinnamon pie crust cookies and many other names. They are just about the same except we add butter to ours. 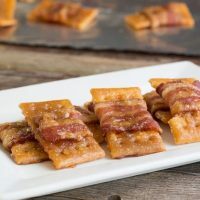 It produces a more caramelized middle that seems to hold up better under the pressure of being mixed with sugar at the end. The would be a great recipe for beginner cooks to find success with. 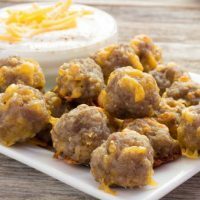 Good old-fashioned Bisquick sausage balls are delicious little bites of heaven made with 3 simple ingredients. Bisquick, raw sausage, and cheese. Toasty crackers with ranch dressing and other spices. 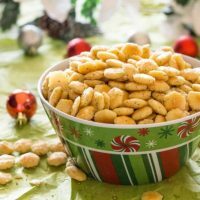 Perfect for holiday gift giving, tailgating, Football Parties, and snacking. Try them with tomato soup. Easy, quick and spicy snack. Makes great hostess gifts. 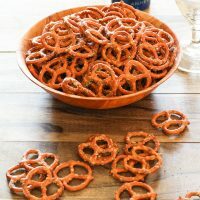 Good for game day and party snacks too! 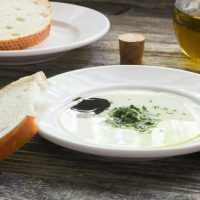 PLEASE COME BACK AND RATE THIS RECIPE IF YOU MAKE IT! Preheat oven to 350 degrees F. Coat baking sheet with cooking spray, or cover with non-stick aluminum foil or parchment paper. Place 1 cup of white sugar in a medium size bowl or large plastic bag and set aside. Roll (or unroll if refrigerated and premade) into disks. Brush melted butter evenly over pie crusts. Sprinkle 1/4 cup white sugar evenly over each pie crust. Sprinkle cinnamon evenly over the pie crusts. Roll tightly into a log. Slice into 1/2 inch slices and lay onto prepared baking sheet. Bake in 350 degrees F oven for 15 to 20 minutes or until crust is lightly brown and sugar has started to caramelize. Place warm rollie pollies in remaining white sugar and toss to coat. Remove rollie pollies from sugar and set aside to cool. More sugar can be sprinkled on top for a sweeter finish. I have never cooked them in a log. I’m not sure the center would cook and you might be left with raw dough in the middle. When sliced and baked the outside rings are crunchy like the edge of a pie crust. The middles are still a little soft. Yes, they can be frozen in an airtight freezer container. For the best results, they should be used within 2 months. Can these be frozen and for how long? Thanks for stopping by and sharing! I love that name! My mom made these whenever she baked pie. I loved them. She called them pigtails. Great childhood memory. Interesting idea. If I bake them in a log, should I cut them while they are hot, kind of like a biscotti? Would love to hear your input. We make these a lot. Try baking in a log, I promise you will love the results!